We’re excited about our partnership with Bettercreme® Whipped Icing/Rich Products ! 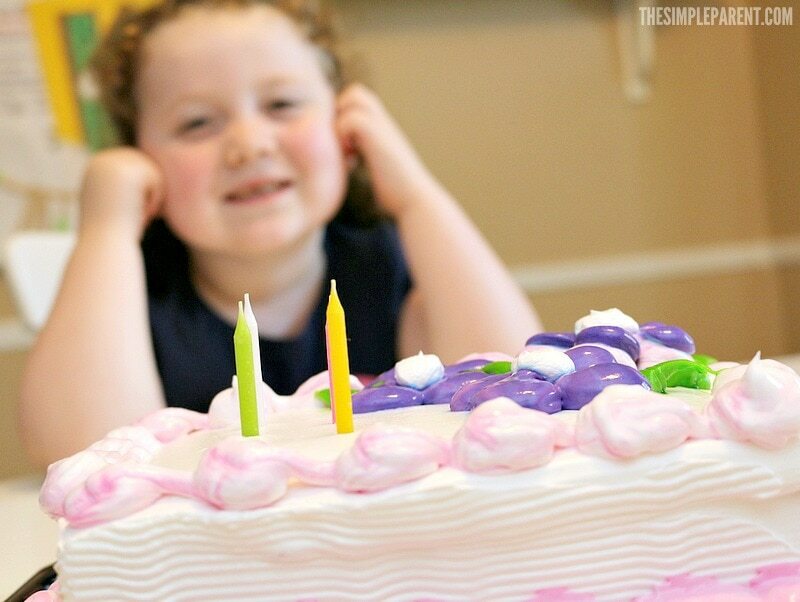 They’ve sponsored our Kids Birthday Countdown Printable and our tasty cake we all enjoyed! Read on to get your own FREE kids birthday countdown printable and see why we always Ask For Whipped! One thing we love to do around our house is celebrating! Whether it’s a big celebration or just a smaller one, we enjoy making a big deal out of the happenings in our lives. I’m all about making memories with our kids even while keeping things simple and easy. This is why things like a free countdown printable are important in my life! And that doesn’t even count all of the special events at school that are holiday related or other birthday parties we might be invited to attend! It’s a very busy time of year for us! During this hectic time, we buy a lot of cakes and cupcakes. It’s just the way we roll around our house! Carrigan might be the biggest fan of this! 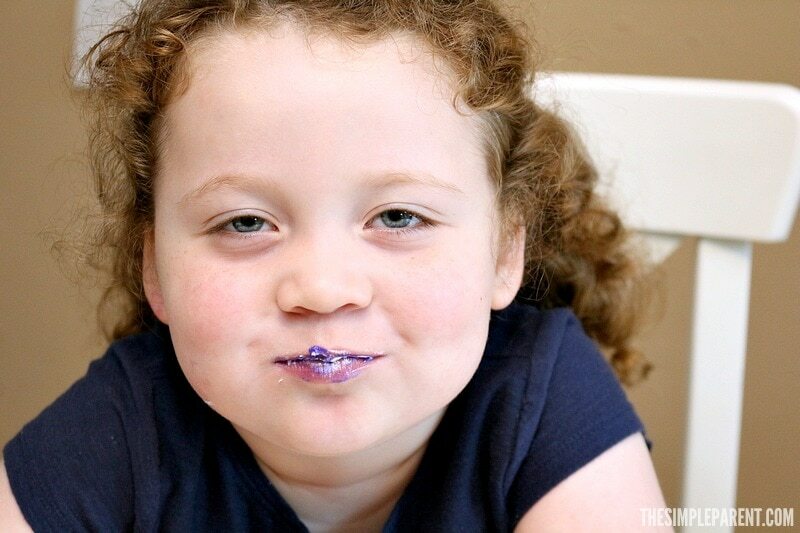 If you need anyone to help eat your icing, she’s your girl! We all have our preferences on cake flavor and icing so we get a lot of variety. One thing I love is when we get a cake with Whipped Icing. 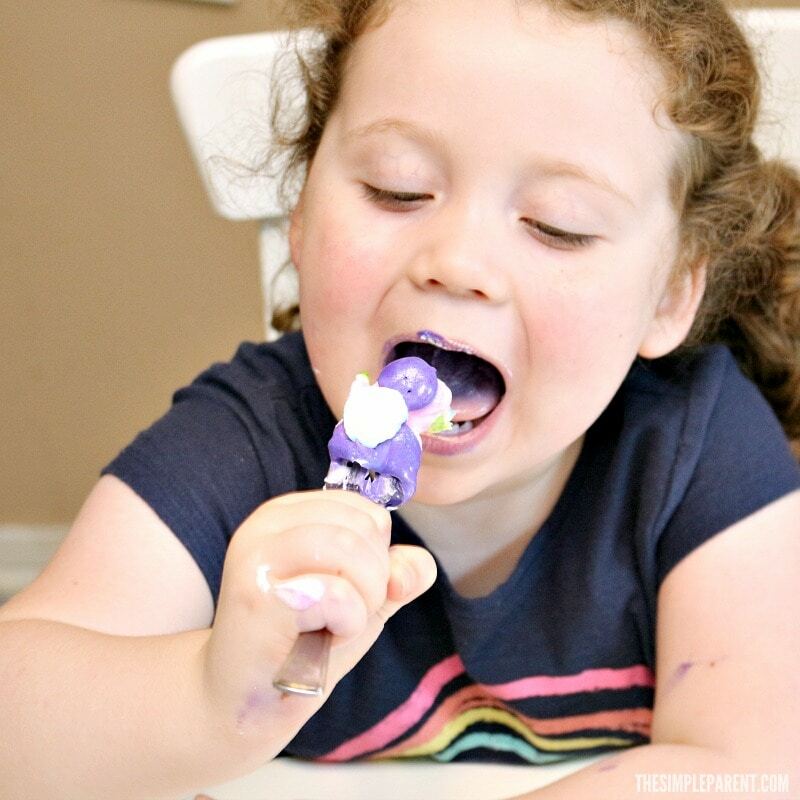 While I love cake and will indulge in pretty much any kind, this mom has her preferences too! So why do I like Whipped Icing? It packs taste but is a better-for-you choice! I like making small changes because they add up to big change! I can still enjoy my cake and eat it too! less sugar and fewer calories than heavier buttercream frosting. It has a smooth, light and fluffy texture with no greasy aftertaste. There’s a great variety of on-trend flavors like Naturally-Flavored Lemon, Cookies ‘n Creme, Sea Salt Caramel, Pumpkin Spice and S’mores! 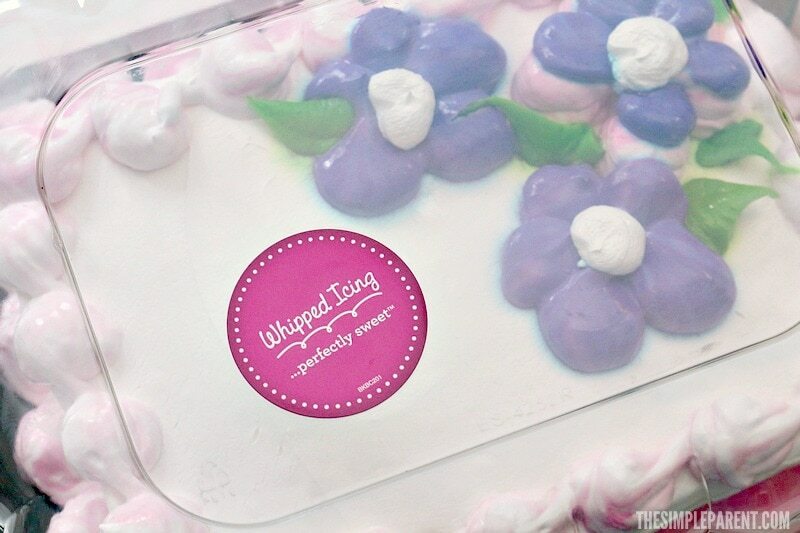 Since they taste delicious, are better for me, and are conveniently found at my grocery store, cakes with Whipped Icing are definitely mom approved by me! 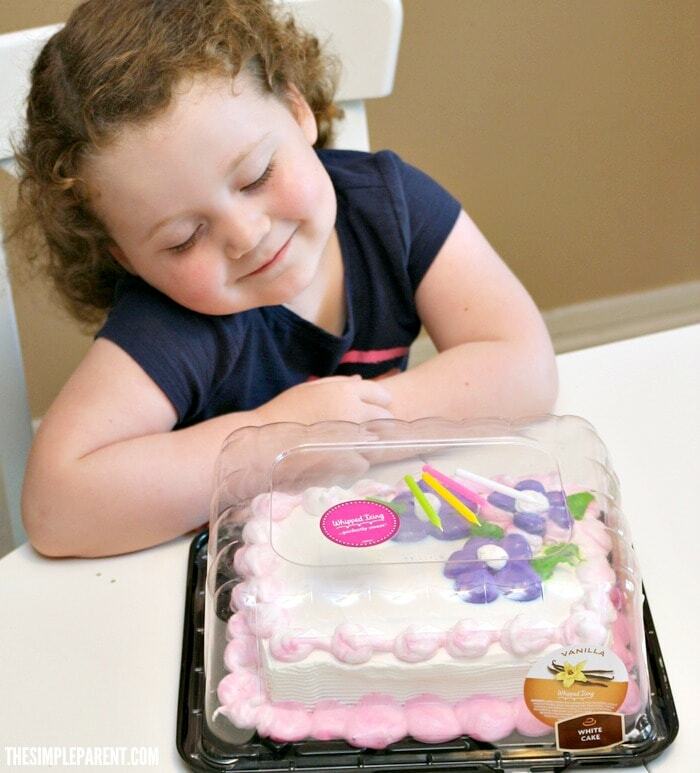 Since Carrigan’s birthday is right around the corner, we’ve got birthday celebrations on the brain! Whipped Icing cakes are perfect for birthdays so it only makes sense! I have to admit I also like a good countdown. Whether it’s a birthday, Christmas, or vacation, it’s just fun to watch the days get closer and closer to the celebration! Countdowns don’t have to be complicated either! 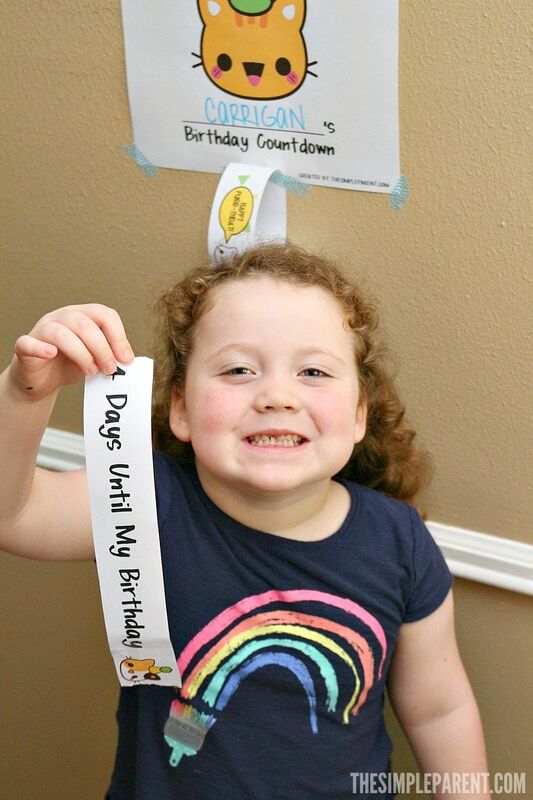 Check out how easy this kid friendly New Year’s Eve idea for counting down was! We do it every year! So using a birthday countdown is another easy way to build up the excitement! 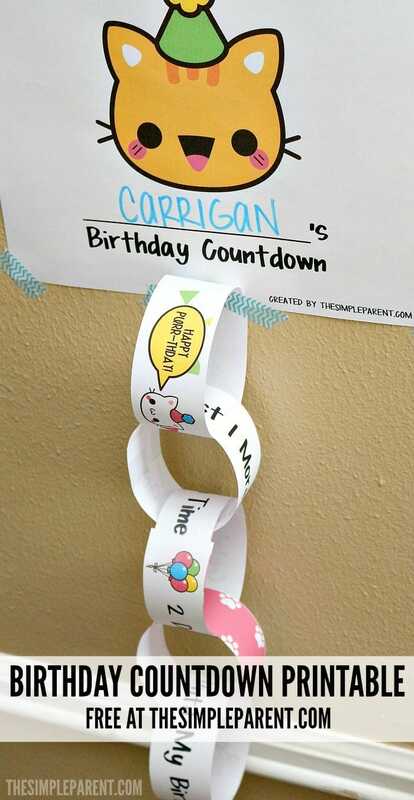 Our free birthday countdown has a cute cat theme because Carrigan loves cats right now. We visited her Gigi who has a cat and now she can’t get enough! 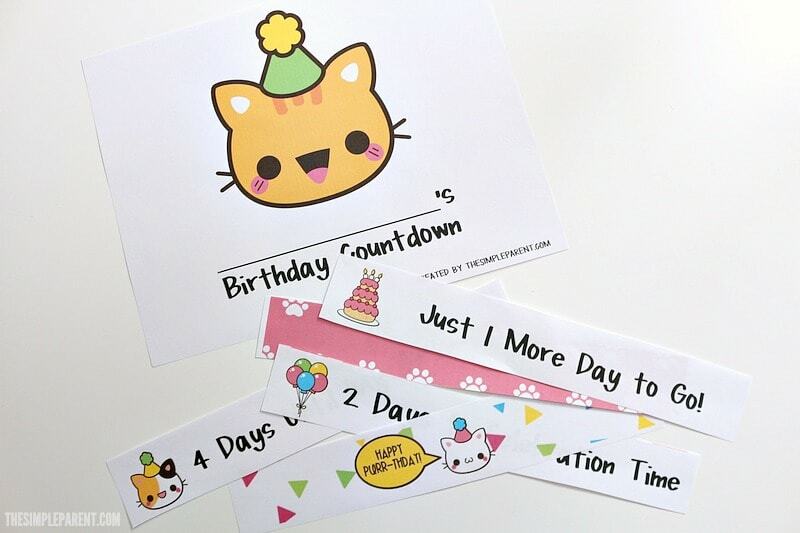 Our kid’s birthday countdown printable starts two weeks before the big day! It has paper links counting down from 14 days to go. If you want to countdown from 10 or a different number, you have that flexibility! All you have to do is print, cut, tape, and go! Click here to download your free birthday printable. Then make plans to Ask for Whipped and order a delicious cake with Whipped Icing from your local grocery store bakery! To celebrate the 40th anniversary of Bettercreme®, the leading maker of Whipped Icing, they’ve unveiled AskForWhipped.com, an online hub for everyone looking for the superior cake-eating experience. Dessert lovers will find beautiful, mouthwatering cake visuals, information and more. Be sure to follow Ask For Whipped on Instagram and Facebook for even more sweet inspiration! Special thanks to CockatooDesign for the amazing clip art!